YouTube is still costing Google almost $500m (£342m) every year because it is not selling enough advertising, says CreditSuisse analyst Spencer Wang. According to Wang's research of YouTube traffic and advertising, the site will generate about $240m in revenue in 2009, a 20% increase compared to last year. But the cost of running the site is estimated to be $711m. These costs include bandwidth, content licensing, ad-revenue shares, hardware storage, as well as sales and marketing. Google has deep pockets but must address the issue of reaping revenue from the massive traffic it generates. According to a report in Multichannel News, the analyst wrote: "In our view, the issue for YouTube going forward is to increase the percentage of its videos that can [generate revenue] (likely through more deals with content companies) and to drive more advertiser demand through standardisation of ad formats and improved ad effectiveness." Twitter, which is another web 2.0 phenomenon that raises question marks about how to make money. Twitter is seeing extraordinary levels of growth, with recent figures putting annual increases in UK traffic at 3000%. But it remains to be seen whether the company can make much money from its spectacular growth. The company sells unobtrusive text advertising for its pages, and co-founder Biz Stone has confirmed Twitter plans to offer paid-for packages of extras for businesses. 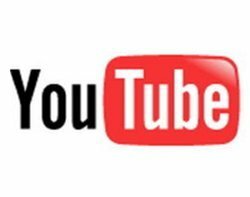 YouTube bought Google for over $1.5bn in 2006.